Unlike many other auto insurers, Direct Auto & Life insurance welcomes drivers who may have a poor driving record. Regardless of your driving history, you may be eligible for coverage. Direct Auto Insurance scores well when it comes to providing insurance for those who may otherwise have been rejected due to a history of accidents or low credit. And it also features a comprehensive auto insurance Emergency Protection Plan. Where Direct Auto Insurance seems like it could improve is in providing top notch customer care. The company has received an abundance of complaints relating to claims payouts and billing. The auto insurer may be a fit for residents in the southeast, where it has a presence in thirteen states. In the event that you are liable for a car accident, Bodily Injury Liability Coverage helps to pay for medical expenses, and if necessary, legal services. Most states mandate Bodily Injury Liability Coverage as part of the minimum auto insurance coverage provided. Usually, you will see this quoted as two figures, such as $10,000/$20,000. The first number, $10,000, covers the injury or death of any person in a single accident. The second figure, $20,000, covers the injury or death of more than one person in a single accident. Property Damage Liability Coverage covers not just damage to another person’s car but also damage caused to mailboxes, guardrails, fences, or even a home in the event of an accident. This coverage is designed to protect you if you cause damage to another person’s property. It does not cover damage to your own vehicle that might be caused from the same accident. Like Bodily Injury Liability Coverage, it is a minimum requirement usually in most states. Collision Coverage is needed to pay for damage to your car if you hit someone or some thing. Whether you hit another car or object, like a guardrail, or your car is hit, Collision Coverage is designed to pay for the repair bill minus a deductible. If you have an older car that is not worth a whole lot, Collision Coverage may not be worth the cost. On the other hand, if your car is leased, you may not have a choice but to choose Collision Coverage because your contract or lienholder may demand it. If your car is damaged through some means other than collision, such as theft, vandalism, contact with an animal, a natural disaster, comprehensive coverage is designed to pay for repairs. When damage occurs and repairs are needed, the costs are split between your auto insurer and you depending on the deductible you selected. Generally, you will pay lower premiums if you choose a higher deductible. And equally, if you choose a low deductible, which is the portion you pay for repairs, you will likely pay higher monthly premiums. Med Pay, or Medical Payments Auto Coverage, helps to pay for the costs of medical expenses in the event of a car accident. The coverage extends not only to hospital and medical expenses, but also to funeral costs too if needed. No matter who is at fault, Med Pay provides coverage, and it typically moves with you. That means when you are riding in another person’s car, taking public transportation, or simply out walking, you are usually still covered. Personal Injury Protection is limited to bodily injuries and does not extend to cover damage to property or your car. It helps to pay not only for medical, hospital, and funeral expenses, but also lost wages incurred by you, passengers in your insured vehicle, and pedestrians injured in an auto accident. What happens if you get into an accident with an uninsured motorist who is at fault? Uninsured Motorist Auto Coverage helps to pay for medical and related expenses in this situation. If your car cannot be driven following an accident, Rental Reimbursement helps to pay for the cost of a rental car. Rental reimbursement is an optional coverage item and is not state-required. If you have a second vehicle, it may not be worth it. However, if you don’t have any fallback option, it may be worth the additional premium payment. 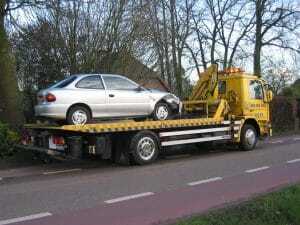 If you need emergency towing, Towing & Labor coverage is designed to pay for the cost of towing. Like Rental Reimbursement, it is optional and supplemental coverage on your auto insurance policy. Where Towing comes in handy is where you leave work one day, for example, and discover your engine doesn’t start and you need towing assistance. If you were to die as a result of a covered accident, the Accidental Death Coverage addition on your policy would pay your beneficiary a $5,000 death benefit. Like Towing and Rental Reimbursement, Accidental Death Coverage is an optional selection on your auto insurance policy. Where Direct Auto Insurance falls short compared to many rivals is in the areas of customer reviews and complaints. From our research, most complaints stem from delays in processing claims following accidents. Billing issues, delays in receiving payouts, and time delays related to repairs featured among common customer complaints. At the time of our research, Direct Auto Insurance Chicago featured an F rating according to the Better Business Bureau. 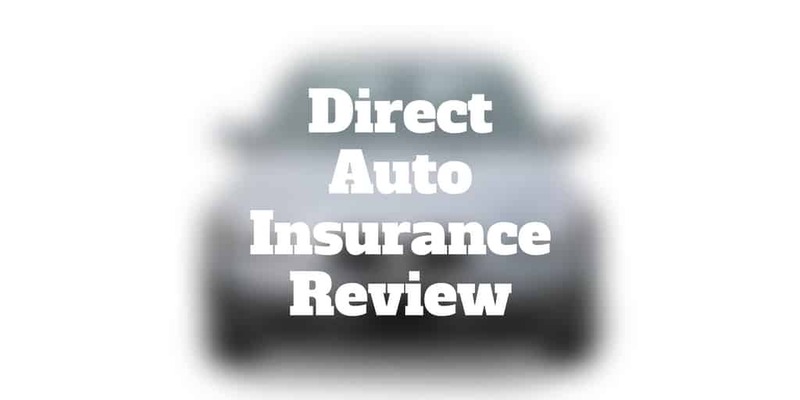 Make sure not to confuse Direct Auto Insurance, which operates under the DirectGeneral.com domain name with the Direct General Group of Companies, which has an A+ rating according to the Better Business Bureau. In terms of its ability to pay claims, Direct Auto Insurance has improved its financial standing according to A.M. Best. In terms of its financial size, it is estimated to be in the $1 billion to $1.25 billion range and receives an overall rating of A- (excellent) from A.M. Best. When you purchase a policy, you may need to pay a downpayment so factor that into any Direct Auto Insurance Quote you receive. Whether you are getting a car insurance quote, motorcycle insurance quote, or even life insurance quote, you should ask about the finer details too, like how different deductibles will affect your premium payments. When you get a life insurance quote for example, you may also need to make a down payment. And coverage extends for six to twelve month terms up to $15,000. If you wish to renew your policy you may do so. ✅ Less Restrictions: Regardless of prior driving history, you may be eligible for a loan from Direct. ❌ Geographic Coverage: Direct has a presence primarily in the southeast of the country but does not have nationwide coverage. ✅ Financial Strength: A.M. Best awards Direct an A- rating, equivalent to excellent, which signals its financial strength to pay out claims is high. ❌ Customer Complaints: Direct has a higher number of complaints than many of its rivals. ✅ Discount Options: Senior citizens, good students, safe drivers, low mileage drivers, and active duty service members are eligible for discounts. ❌ Better Business Bureau Rating: The Better Business Bureau awards Direct Auto Insurance an F rating, its lowest level. ✅ Wide Variety Insurance Policies: Beyond auto insurance, Direct offers motorcycle insurance, life insurance, emergency protection, Mexico auto insurance, Medicare, accidental medical expense coverage, and commercial auto insurance coverage. ✅ Emergency Protection Plan: Direct offers a comprehensive emergency protection plan that includes hospital stay benefits and accidental medical expense coverage. Direct Auto Insurance provides more than just car insurance. You can get life insurance, emergency protection plans, and even coverage when driving in Mexico too. If you live in the southeast of the United States, Direct has over 400 locations and earns an A- rating according to A.M. Best for its financial strength. You may find it to be a good fit if you had a car accident previously or poor credit and are having difficulty securing vehicle insurance elsewhere. Direct also offers a free DirectDrive app that tracks braking and accelerating so you can view your driving compared to others and potentially earn low mileage or safe driver discounts. One obvious drawback of Direct is the high volume of customer complaints the company receives, so if it may be worth checking out other companies like Allstate as part of your comparison shopping.